Step 1. Go to the Plugin Cronjobs Module. Make sure you activate the Cron Jobs. For Products synchronization, you have to “Activate” (click the corresponding button) the wwcEbyAff_sync_products, wwcEbyAff_sync_products_cycle hook names. Using this module you can keep track if the product were synced, and when. 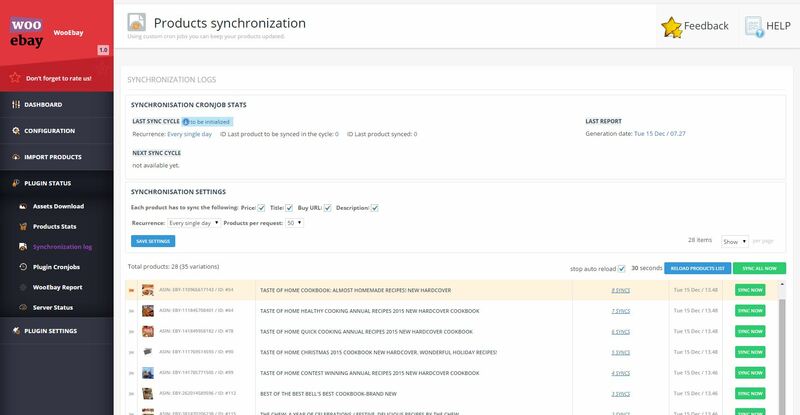 The Synchronisation Log Module you’ll find a list with all products that were synced, when was the last time, when did they synced last, what’s the next product to be synced, an option to sync each product at a time (VARIATIONS ALSO!) or simply click on the Sync All Now button and you’ll have all your products synched in no time!